rban farming finds its roots in hyper-localized communities looking to produce fresh food within urban centers. It also sees its heritage in the somewhat obscure confines of the indoor gardening and hydroponics tradition. With these notions in mind, the question as to weather or not the urban farming industry is growing in the United States should be met with a resounding yes. Last year was a momentous year for the urban farming movement on the whole, as government entities and large-scale investors alike showed unquestionable interest in the both the financial and societal benefits of urban agriculture. This up and coming industry includes vertical farming, CEA production, greenhouse growing, and sophisticated hydroponics / aquaponics cultivation. 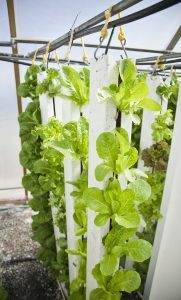 To tie it all together, rapid progressions in cultivation technology have made certain commercial applications of controlled environment agriculture profitable for the first time. Yet, how this forward-momentum will sustain itself, and exactly how fast the horticulture industry is growing overall, is still somewhat difficult to pinpoint. Sophisticated investment parties are increasingly looking to the urban farming sector for viable financial growth opportunities. For example, an article by Business Insider titled “Investors are sinking hundreds of millions of dollars into a technology that could revolutionize the way we eat” describes the unparalleled capital put into the vertical farming company Plenty. In August 2017, Plenty received $200 million in Series B funding, making the deal “the largest agriculture-tech funding round in history.” Behind the massive financial backing is the Softbank Vision Fund, a financial operation that represents some of the world’s savviest investors. All-in-all, Plenty’s movements into the limelight of Wall St. level finance speaks to the growing attention that the urban farming sector is receiving, on a number of levels. In the highly money-driven culture of modern America, large-scale funding efforts, as seen with Plenty in August 2017, set the stage for additional public interest. Along this line of thought, sophisticated investment parties are generally more “in the know” than the average U.S. citizen concerning business trends, including those trends tied in with food procurement. 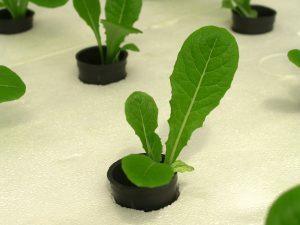 On this note, industry leading business people and intellectuals alike feel that “the investment will make indoor agriculture even more commonplace.” Interestingly, and against the profit-driven norms of large-scale financial interests in the United States, the Plenty funding situation sets forth to infuse capitalist economics with a movement interested in solving global issues concerning healthy eating and environmental awareness. That being said, this situation might present a rare case where “keeping up with the Joneses” means developing an appreciation for local, sustainable food production. 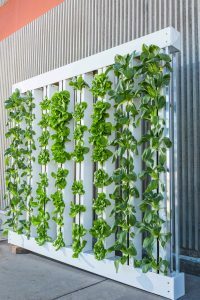 If the financial figures surrounding the Plenty deal are any indication, vertical farms could become a standard source for produce in years to come. The urban farming movement has also garnished the attention of key political figures in the United States, this notion further evidences the industry’s growth in recent years. To illustrate, in September 2016 Michigan Senator Debbie Stabenow introduced the “Urban Agriculture Act” to the United States Congress. This unprecedented legislation set forth to amend the USDA’s Farm Bill by implementing government programs within the urban farming sector, essentially giving them similar rights and perks as “traditional” farms. While Stabenow’s bill expired with the commencement of the 114th congress, Ohio Congressional Representative Marcy Kaptur has set to keep urban farming legislation alive in the 115th U.S. congress with the sponsorship of the “Urban Agriculture Production Act of 2017” Yet, many experts don’t see urban farming as a major priority for the conservative decision makers that currently dominate congress, which seriously lessens the chances that it will get voted into action. Nonetheless, the simple fact that the once grass-roots urban agriculture movement has gained the attention of policy makers in the United States government speaks to its overall advancement into a mainstream industry. What sort of changes have you seen happening in the urban farming industry in the past 10 years? How has an influx in investor money, as seen with the $200 million Plenty received in summer 2017, effected the urban farming industry? Behrman: “I’m not so sure it’s a good thing. First of all, funding is not a business model. Also, these inflated amounts of investor money might scare away the small investor or business owner who could make a real difference. Not to mention, I don’t see any of the bold type vertical farming companies doing anything significantly different, like introducing any new varieties, reducing prices, or increasing nutrient density. How does the U.S. urban farming industry compare to the industry in Europe? Thus far, urban farming has been organized by grass roots efforts or State sanctioned research and funding programs. How would the passage of the “Urban Agriculture Production Act of 2017” in the U.S. congress change the industry? Behrman: “The bill, if passed, could be a positive thing for Urban Ag – if it gets some fine tuning. But, the prognosis for its passing are not good. After reading the bill, I’m also concerned that it doesn’t open the door wide enough for the entrepreneur. I feel that it has too much of a bureaucratic “government” point of view because it lacks input from the potential beneficiaries in urban farmers. Looking forward, what do you see as the future of urban farming in the United States? The ebb-and-flow of the United States’ urban agriculture industry is indicative of a marketplace that is still largely in start-up phase. That being said, there are exciting opportunities and prospects related to both investment interests and government programs. However, as eluded to by Glenn Behrman, how the stability of these developments will affect overall industry progress remains largely to been seen. Either way you cut it, the simple fact that urban farming is receiving the attention of mainstream demographics in the United States speaks to an industry experiencing growth. This article originally appeared in the March 2019 edition of Maximum Yield i News.